Residents are taxed on their worldwide income. An individual is deemed resident in Portugal if he spent more than 183 days per calendar year in Portugal. Married couples are taxed jointly under an income-splitting system. The joint or combined income of married couples is divided by two; the progressive rates are then levied on one part, and then the resulting tax liability is doubled. Income is classified into six categories: (1) employment income, (2) business income, including income from business, independent profession, and vocation, (3) investment income, (4) income from immovable property, (5) capital gains, and (6) pensions, including annuity and alimony payments. Specific deductions and calculations are allowed per category. Net income from all sources are aggregated and taxed at progressive rates. Resident taxpayers are entitled tax credits and allowances. An additional income tax is due on taxable income exceeding €80,000. A surtax of 3% is levied on taxable income between €80,000 and €250,000, and a surtax of 5% on taxable income exceeding €250,000. Net rental income is taxed at progressive rates. Taxable income is gross rent less maintenance costs, repairs, and other related expenses (such as insurance premiums and municipal tax). Mortgage interest costs incurred when the property was purchased are not deductible. Under a special regime for urban rehabilitation, rental income earned by resident individuals from property qualifying for the regime is subject to a special income tax rate of 5%. 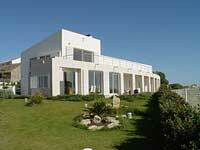 Capital gains realized by residents on the sale of Portuguese property are taxed at a flat rate of 28%. The taxable gain is computed by deducting the following from the selling price: the acquisition cost adjusted for depreciation and increased by the official inflation coefficient, costs of transferring ownership, and improvement costs incurred in the last five years prior to the sale. For capital gains realized from fixed assets such as real property, only 50% of the capital gains will be taxable if the capital gains are reinvested in fixed assets such as real property during the year the sale occurred, the previous year, or within two years after the sale. Property tax is levied on the officially assessed values or "patrimonial value" of the buildings located in the territory of each municipality. The calculation of the patrimonial value takes into consideration the cost of the building, the average value of the land, the location of the property, etc. The applicable rate is defined annually by each municipality in a decision taken by the respective municipal assembly. Rural properties are taxed at 0.8% while urban properties are taxed from 0.30% to 0.50%. Properties not updated in accordance to the new property tax rules are taxed from 0.50% to 0.80%. However, if the property owner resides in a low-tax jurisdiction place, then the applicable rate is 7.50%. Income and capital gains earned by companies subject to corporate income tax at a flat rate of 21%. Income-generating expenses are deductible when calculating taxable income. A local surcharge of to 1.5% is levied on the taxable income. A state surcharge of 3% is levied on profits between €1.5 million and €7.5 million, a state surcharge of 5% is levied on profits between €7.5 million and €35 million, and a state surcharge of 7% on profits exceeding €35 million. Municipal and state surcharges will be phased out in 2018.